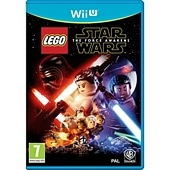 Cheap LEGO Star Wars: The Force Awakens (Nintendo Wii U) Game - Price comparison at over 30 UK retailers. Base.com £7.85 £0.00 £7.85 In Stock NOW . Usually dispatched within 1 working day.